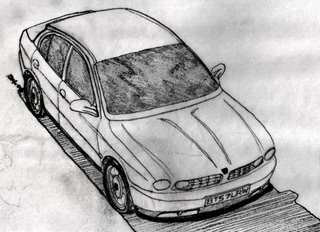 Imagine a hypothetical scenario whereby Ford had managed to obtain the Triumph name as part of the deal with BMW which brought Rover home to Solihull. 5ivegears thinks the world could be ready for a 21st century Dolomite, and the X-Type could make a perfect platform. The sketches show how the transformation might be achieved.